Create a space for your little one to make their own, a place where you and bub can create memories, a place where imaginations can run wild with hours of entertainment and fun to be had. 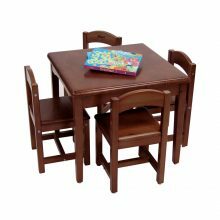 At Babyhood our extremely high quality play table and chairs are strong, sturdy and built to last, they are not only versatile for your children’s needs but is also a beautiful piece of furniture for your home. 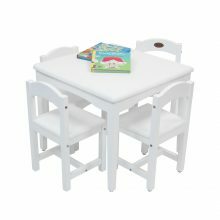 Our gorgeous play tables and chairs provide an amazing fun option for your child’s playroom, around the house, outdoor area or in their bedrooms. Whether it’s tea parties, arts and crafts, activities, reading, the possibilities are endless with our BabyHood play table and chairs.